These are my photos, but this is not my back yard! ;-) When we were vacationing in Colorado, we saw these beautiful black and white birds all over the place. These pictures were taken at Garden of the Gods. 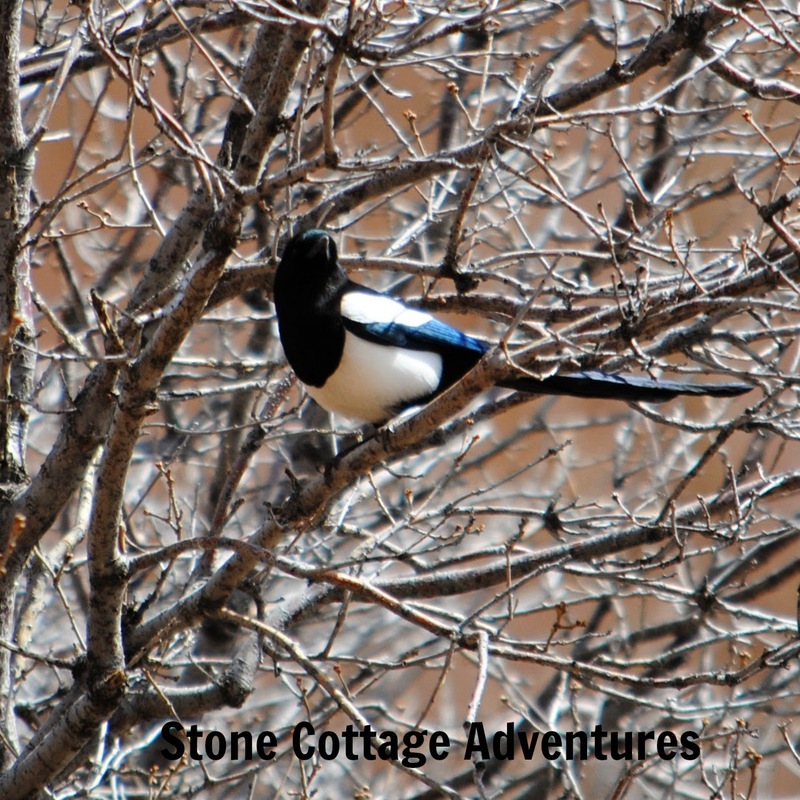 A little research has led me to believe this is an American Magpie AKA Black Billed Magpie. Since we don't see them in Arkansas, I was absolutely fascinated with them, finding them to be loud and bold. 'Not afraid of us at all. As I have been reading about them, I notice they seem to be either loved or hated. Interesting! 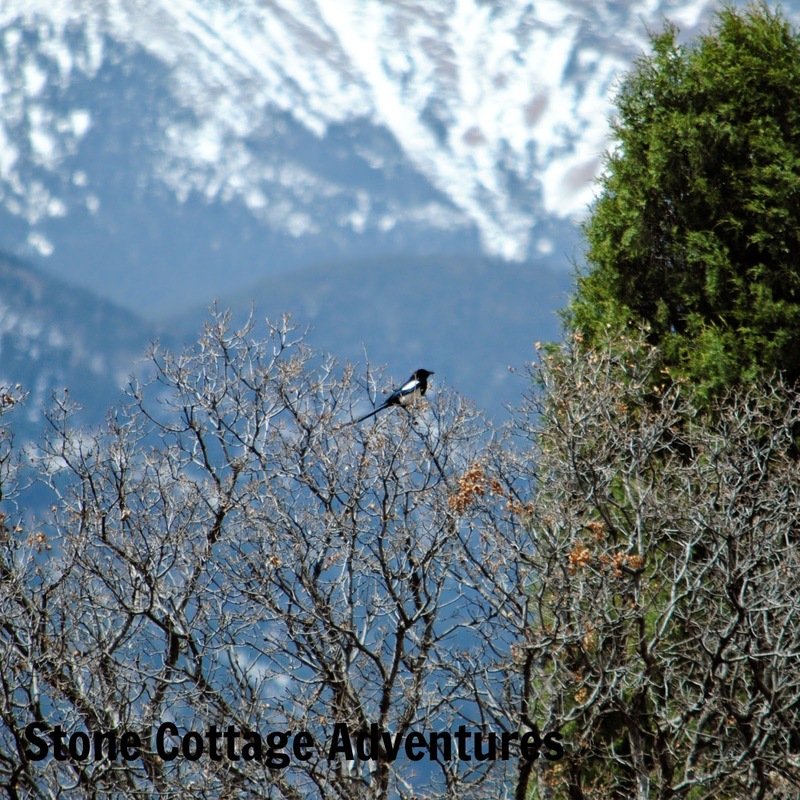 This is my favorite Magpie photograph with Pike's Peak in the background! A little blogging music. Sing, Sing, Sing! I didn't know magpies were all over the world. We have lots, I love the sounds they make and the way they look but they can be aggressive if you get to close to their nests, some people wear hats with eyes posted on them to discourage them from attacking they don't if they think you are looking at them. Oh you are such a tease! I thought you had somehow lured this beauty into your back yard!! LOL! I miss the magpies. Love seeing your pics from Colorado! Here in the Netherlands they are called "Eksters". And not really loved birds. They steel the little birds babies and eggs, sometimes I cam see one or two of these birds chasing a Cat down the street. Very agressive birds. 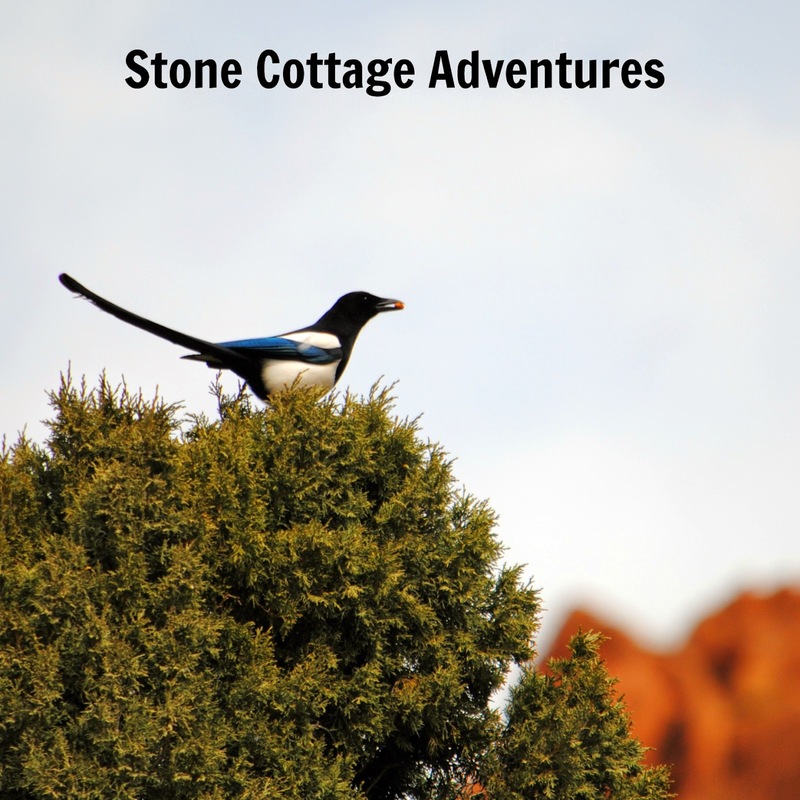 I grew up with magpies in Alberta, but didn't see them in any other place I lived, until I moved to Montana. I do love them - but didn't realize there was more than one variety! Glad I found this at #TurnItUpTuesday#49! what a pretty bird! I don't think I have ever seen one but will keep my eye out. I had a goldfinch in the garden the other day and thought of you! I have no idea how you get such great pictures all the time!